Her talk, “The Good, the Bad, and the Ugly: Citizenship and the Politics of Exclusion,” begins at 7 p.m. Thursday, Oct. 6 at the Museum of Art and History in Santa Cruz. A reception will begin at 6:30 p.m. The event is free and open to the public with pre-registration requested. Anderson’s talk kicks off a year-long series that will explore what it means to be a citizen and non-citizen in a world made by migrants, refugees, guest workers, permanent residents, asylum seekers, slaves, prisoners, detainees, the stateless, and denizens (residents who do not hold the same rights as citizens). It is part of the John E. Sawyer Seminar on the Comparative Study of Culture funded by the Andrew W. Mellon Foundation and presented by the CLRC and the Institute for Humanities Research. The series is organized around three themes: “Forced Migration” (fall 2016), “Labor Mobility and Precarity” (winter 2017), and “Fluidity of Status: Migrants, Citizens, Denizens” (spring 2017). Anderson will explore citizenship as a legal status and moral claim. She examines how debates about migration expose the nature of the “good citizen” and the rise of the worker citizen. 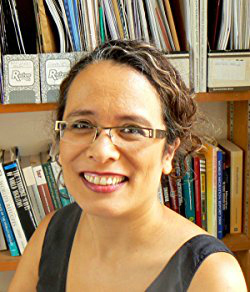 Rather than seeing migrants and citizens as competitors for privileges of membership, she argues for recognition of connections between the non-citizen migrant and the “failed citizen” on welfare or with a criminal record. After her remarks, Sylvanna Falcón, associate professor of Latin American and Latino studies, will facilitate a discussion.